Bravo! to two Italian restaurant chains for adding gluten-free menus this week. Siblings Bravo! Cucina Italiana in Willow Grove (2500 Moreland Rd., 215-657-1131) and Brio Tuscan Grille in Cherry Hill (901 Haddonfield Rd., 856-91-8166), Marlton (500 Rt. 73 S., 856-983-0277) and Newark (305 Christiana Mall Rd., 302-368-1448) are serving gluten-free penne as one of the new selections. The Bravo! 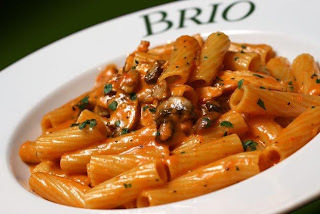 menu and the Brio menu are the same. In Wilmington, Harry's Savoy Grill (2020 Naamans Rd., 302-475-3000) has raw bar options, appetizers, salads, entrees and sides on its new gluten-free menu. The Roman Delight location in Doylestown (1456 Ferry Rd., 215-348-2222) serves gluten-free pizza, pasta and entrees. According to the manager, the kitchen uses separate cookware, ingredients and utensils. Reader Gina L. let me know that the Jersey Mike's chain of sub shops offer a gluten-free Sub in a Tub. There are New Jersey spots in Cinnaminson, Forked River, Hamilton, Little Egg Harbor and Manahawkin. Gina says that she has ordered with success at the Cinnaminson location (195 Rt. 30, 856-786-7827), where the staff will change gloves and get the cold cuts and toppings from the back. As I mentioned last Friday, P.F. Chang's has added five new items to its gluten-free menu and brought back the popular Dali Chicken and lemon chicken dishes. 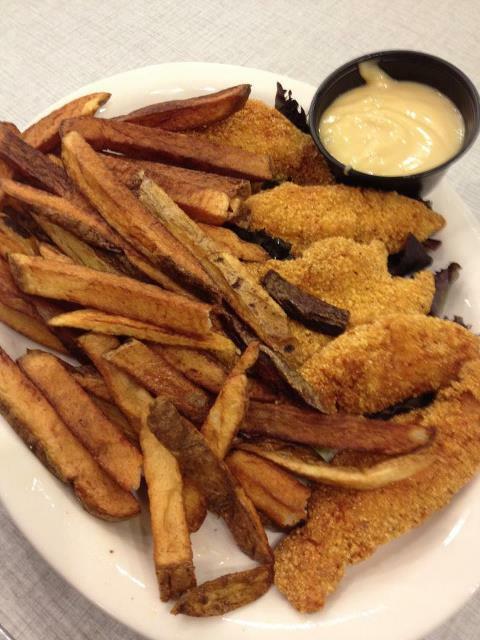 In addition to getting gluten-free grilled cheese sandwiches at The Pop Shop in Collingswood (729 Haddon Ave., 856-869-0111), diners can now enjoy gluten-free chicken tenders and fries since they are prepared in a new dedicated fryer. Melt Down Grilled Cheese has opened its second location (thanks Katrina S.), this one in Wayne (522 W. Lancaster Ave., 610-293-6988). Sandwiches can be made with gluten-free bread. Philly.com reports that Collingswood's gluten-free friendly IndeBlue is opening a second location in the Washington Square West section of Philadelphia (205 S. 13th St.). Coming in May from Anheuser-Busch is gluten-free Michelob Ultra Light Cider. 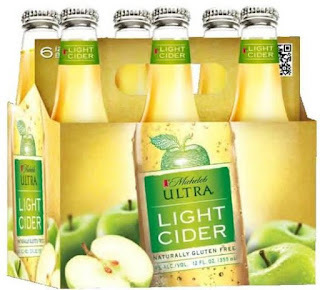 According to Advertising Age, the company is touting the beverage as a "less sweet, lower calorie, all-natural alternative" to traditional flavored malt beverages and ciders. The drink has 118 calories and 4% alcohol by volume. New from Natural Nectar are ChocoDream rice sticks - crisp rice sticks filled with creamy cocoa spread. There are three two-stick packs per box, and each pack is a modest 115 calories and 4 grams of fat. I found these at Whole Foods in Marlton for $3.69 a package. The Delaware County Gluten-Free Meetup group will break bread at Sweet Christine's Bakery in Kennett Square on Saturday, April 14 at 10 a.m. You can RSVP at the event page. A reminder that on Sunday, April 22, Pasta Pomodoro in Voorhees (700 Haddonfield-Berlin Rd.) will host a gluten-free fundraising dinner to support the National Foundation for Celiac Awareness from 5 p.m. to 9 p.m. Diners will be able to choose from Pasta Pomodoro's extensive gluten-free menu in its entirety. Call chef-owner Pasquale Masters at 856-296-1268 to RSVP or email him with the time and number of your party. If you missed my other recent posts, you can read about the gluten-free concessions available at all 30 Major League Baseball stadiums, including our own Citizens Bank Park, as the 2012 baseball season gets underway. Just across the street from the ballpark is XFINITY Live! All of the restaurants at the new dining-and-entertainment complex have gluten-free options listed on their respective menus. For those who observe the upcoming holidays, have a happy Passover and Easter and safe travels if you're hitting the road! We tried Bravo! Cucina Italiana in Willow Grove this week, and had great meals there. My son the picky eater had GF pasta with red sauce, hold the chicken, and I had grilled chicken with a caper sauce. Both were excellent, and both servers who helped us were very knowledgeable about the GF menu. My only complaint is the lack of a GF dessert; our table had a clear view of the dessert "bait" tray that the servers take around to show off the dessert options, and we had sit through the whole meal looking at it but couldn't order anything from it! Great meal, Bravo! Cucina Italiana, now please add dessert!